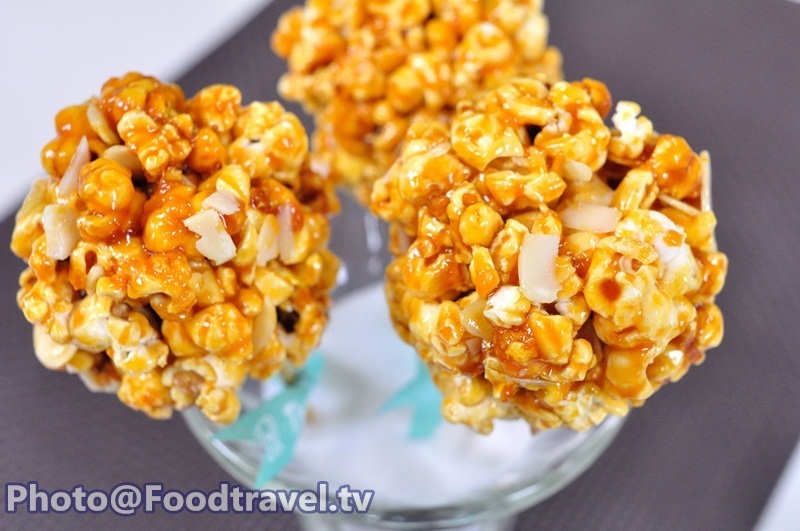 Popcorn Ball - Popcorn Ball is fresh popcorn mixed with caramel. 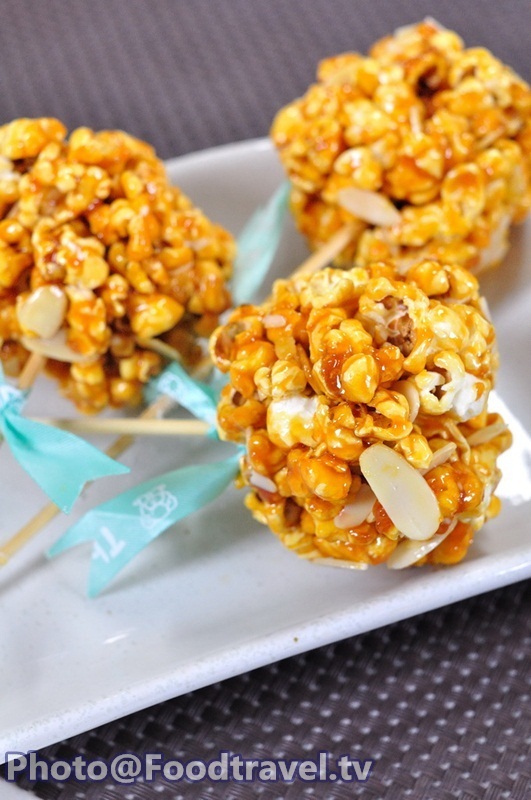 Let’s enjoy mellow sweetness of popcorn! 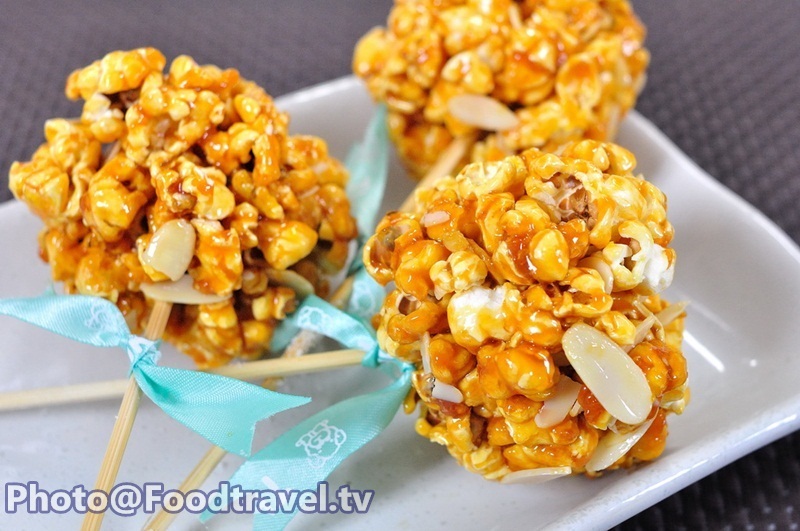 Today we make sweet popcorn ball which look really cute and appetizing. 1. 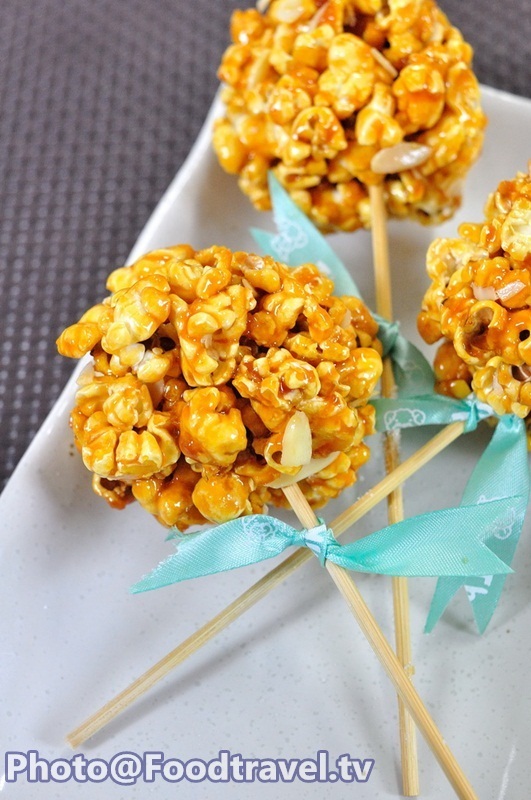 Add corn and butter in a microwave. Put into the oven until cooked thoroughly. 2. Add sugar in a pan and wait until melt. 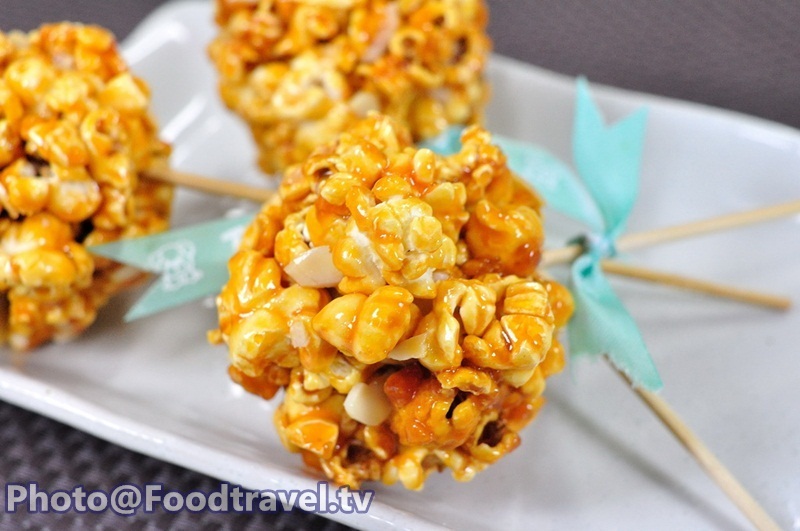 Then stir until thick and change to caramel. Turn off the stove. 3. 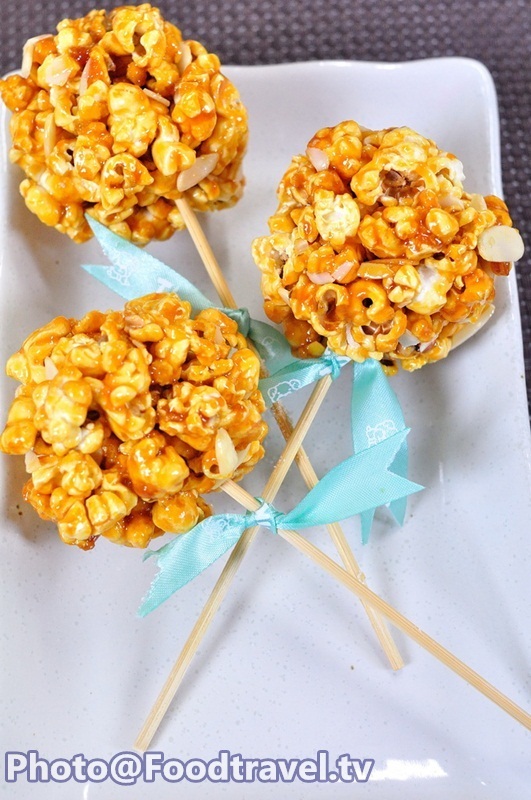 Add popcorn in a mixing bowl. 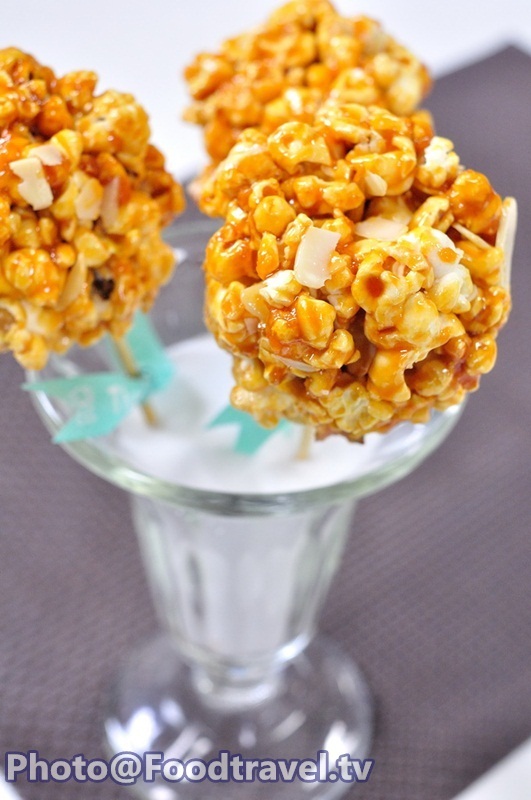 Then add caramel until coat popcorn thoroughly. 4. Paint oil on your hand. 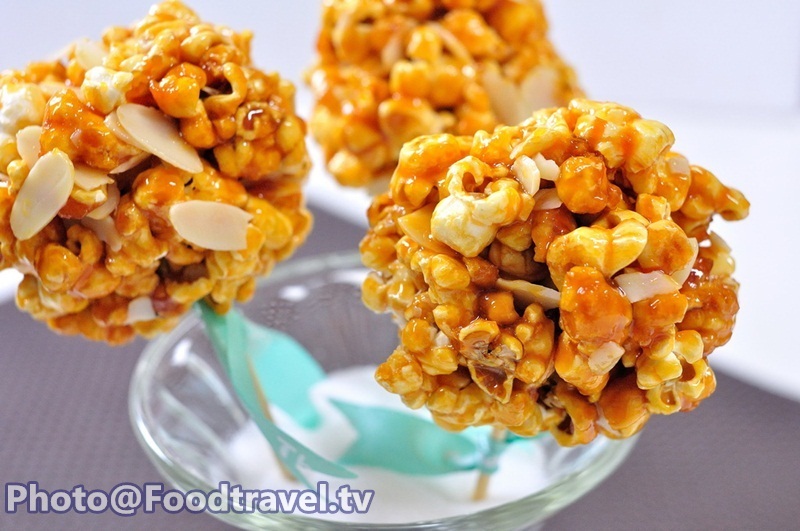 Mold popcorn into a ball and put the skewer. 5. 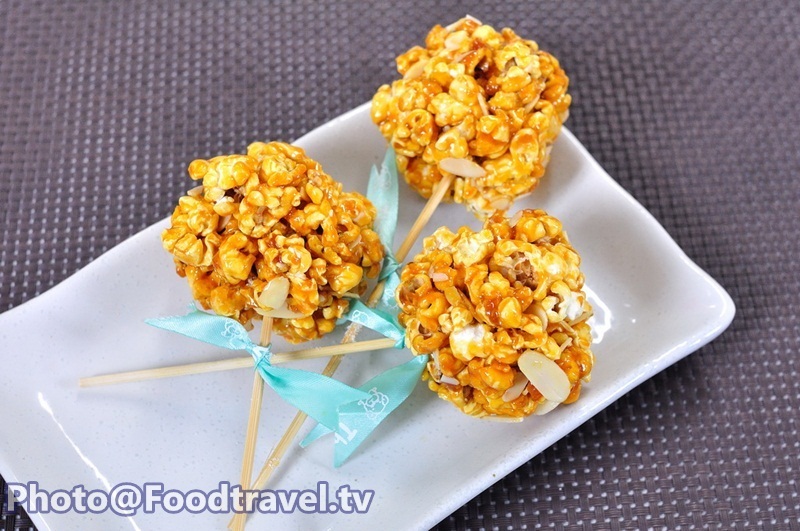 Set in the refrigerator 10-15 minutes. 6. 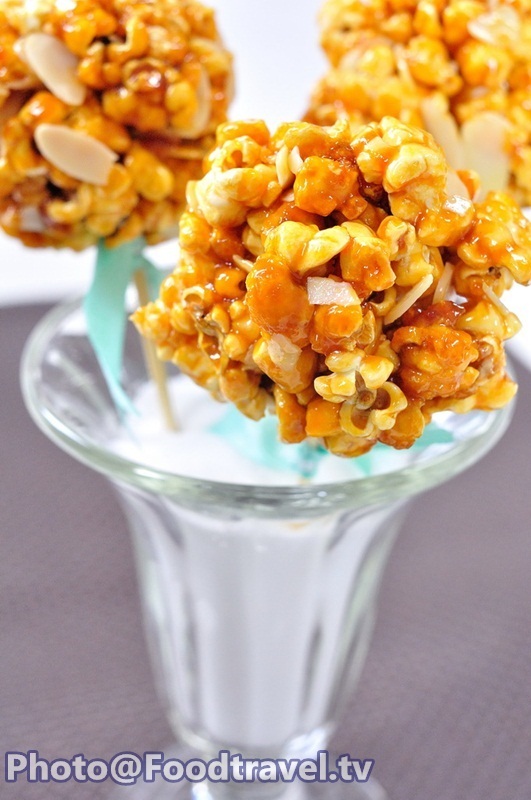 Decorate with chocolate, sugar, peanuts and sesame. Then wrapped or tied as a lovely gift .